Update: This recipe is now on the Caveman Keto YouTube Channel. 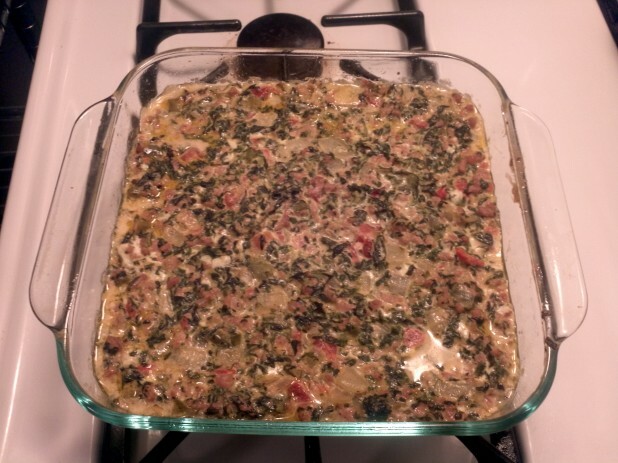 Check out how to make Mexican Spinach Casserole. I am always looking for easy lunch recipes that I can whip together on Sunday and have ready all week. Chicken Thighs with Spinach used to be my standard meal, however the ratio is a little high in protein and it often messes up the whole day. One of my favorite sites for low carb is Linda’s and this recipe came from her Mexican Spinach Casserole. Here is the finished product and this stuff is amazing! This week, rather than use one giant baking dish like I normally do, I used a rectangular and a square dish. This way I could cut them into logical portions and make 2×6 meals total. I normally take my big dish and cut it into 2×5 but this is really hard to eyeball. Start by cutting up an onion and weighing it. This is one of those ingredients that you can adjust if you want more or less carbs. This is a lot of food so even though this looks like a lot of onions, its for 12 servings. Throw the onions and peppers (forgot to show cutting the peppers up, but make about 200g of diced peppers) in with some oil and cook them until they are translucent as shown. 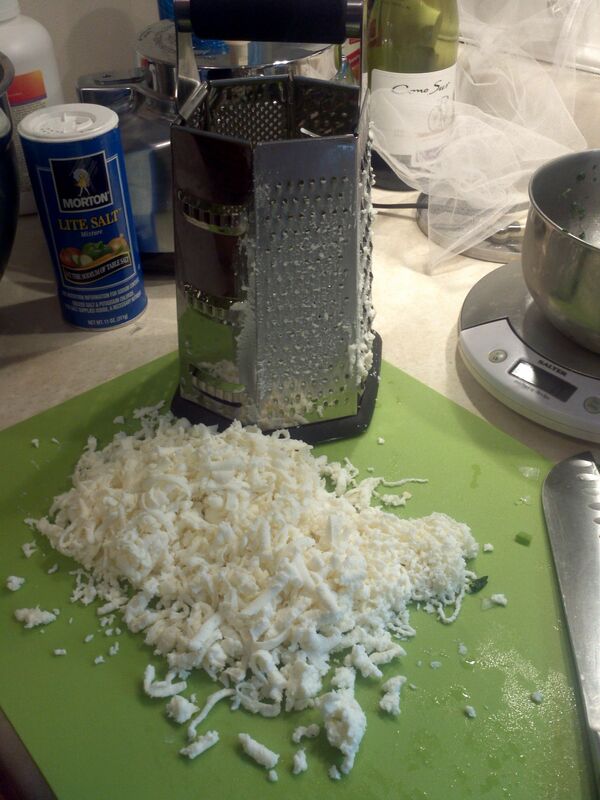 While the onions and peppers are cooking down, grate the mozzarella cheese on a cheese grater. I normally use my food processor to grate cheese but this stuff is so soft that it just gums it up; its a lot easier to just grate it by hand. 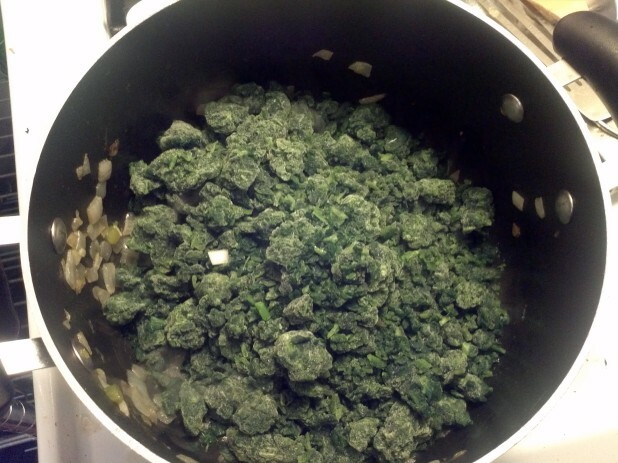 Transfer the onions and peppers to a large prep bowl and throw some frozen spinach in the same pot. 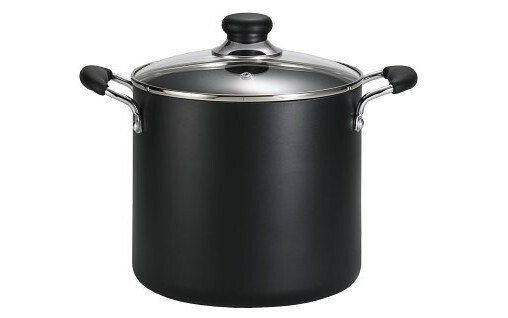 This whole recipe cooks in this same pot but separately to reduce the dishes. You could also microwave the spinach or use fresh. I go through so much spinach that these frozen 5 lb bags from BJ’s are the only option. After the spinach is done, throw about 2 lbs of ground pork into the same pot. Cook it until its no longer red. Throw some taco seasoning on the meat. I’m still using McCormick’s cause I’m lazy but I really need to find something new cause this stuff has carbs. Do you have a good taco seasoning recipe? If so, post it in the comments! Here is the finished meat. 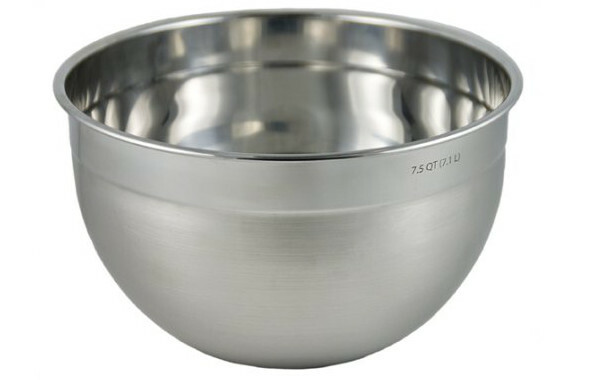 Now throw the meat, onions, peppers and spinach into a giant stainless steel mixing bowl. If you don’t have one, I highly recommend them. Cooking for a week tends to make a lot of food and it helps to have a large bowl like this. 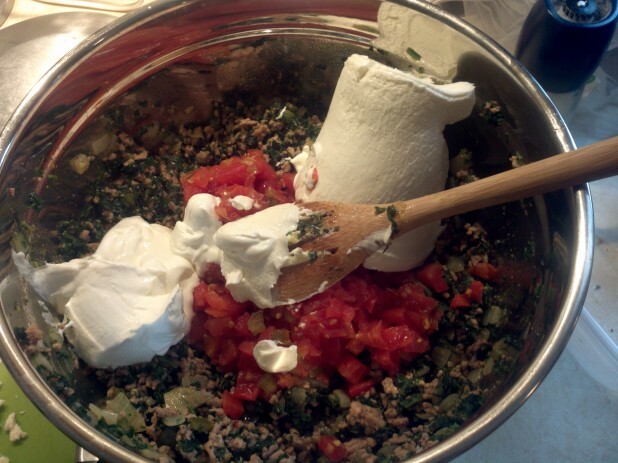 Throw the sour cream, Rotel (drained), cream cheese and mozzarella into the bowl and mix! Here is the finished concoction. And there you have it! This is the rectangular finished dish. If you want it more spicy, you can put a dash or two of hot sauce on each individual portion when you box it up. 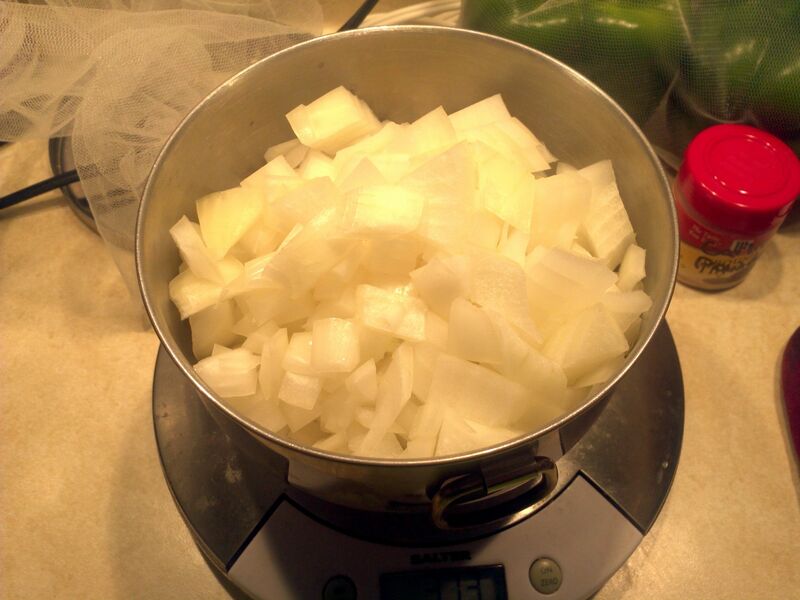 For less carbs, reduce onions and peppers and / or use a lower carb taco seasoning. Great for cooking those gigantic, week long casseroles! I call them 5day meals on the website. 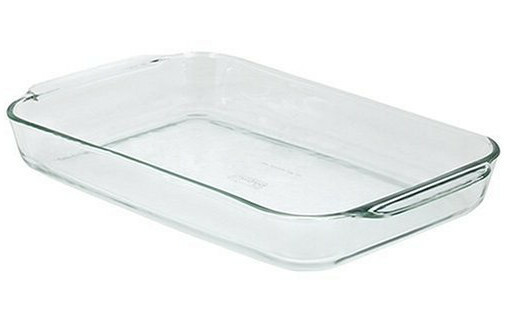 Normal casserole dishes are 10×13 but this one is gigantic and can easily be divided into ten portions. Here is what I use for taco seasoning. Tastes just like Old El Paso brand. So is this one reduced carb? What exactly in taco seasoning contains carbs? The spices themselves contain carbs but the McCormick spice actually has sugar and thickeners, often flour, as ingredients. Although the amounts are low, there is a benefit to making your own. Note that I still use the McCormick stuff despite this but its just good to know. Is your logo supposed to say “The low carb ‘RECPIES'”? Made this yesterday, and it’s freaking awesome! Had 4 portions already, but it’s barely noticable because of the size of this thing! Love this recipe! it rocks, cheap and easy to make! Just wanted to say thanks for taking the time to post these amazing recipes, I made the Mexican Casserole (added Celery and Cherry Tomatoes – No Ro-Tel in Canada). I will be planning on making more recipes, thanks again! You can actually find ro-tel at super c and some iga in the mexican section. I have purchased some there in the past now I am lucky and have a mexican store close by. Just tried this and it ended up kind of soupy is that how its supposed to be? I mean it was delicious but not very firm. Did I do something wrong? Hmm, did you drain all of the vegetables that you added? Potential extra sources of moisture are: The cooked spinach (was it frozen, then thawed and not drained? ), the rotel / tomatoes (were they drained?) Was either low fat cream cheese or low fat sour cream accidentally used? Was the cheese used very watery? I just tried this recipe and had the same soupy result. I even left it in for an extra 15 minutes and it was still soupy. The spinach and all vegetables were drained. I’m not really sure where we messed this up as we followed your instructions exactly as they were laid out :(. I had the same result! Full fat everything, pressed out the vegies and tomato. Next time I’m serving the sour cream on the side, maybe it will help. If you’re finding it soupy, try adding more pork. I just made this and it was sooo effin good! Thanks for the recipe Caveman. Couple of tips to avoid a soupy results and to make it easier overall: USE 2 BAKING pans (9×13 and 8×8). Don’t try to put all the mix in one 9×13. Only use one pan if you have a 15×10 pan. 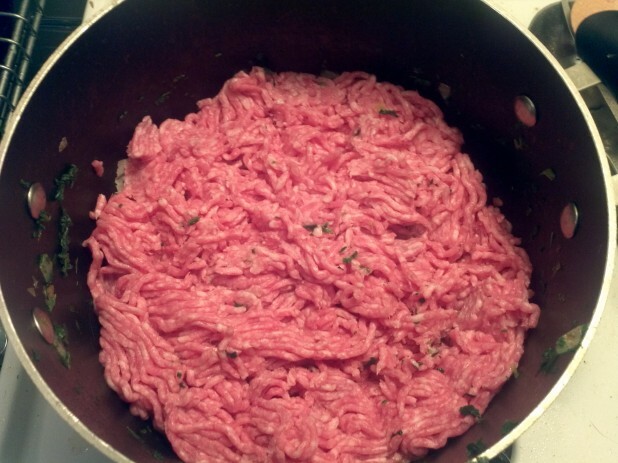 Cook the meat in a separate pan or pot. 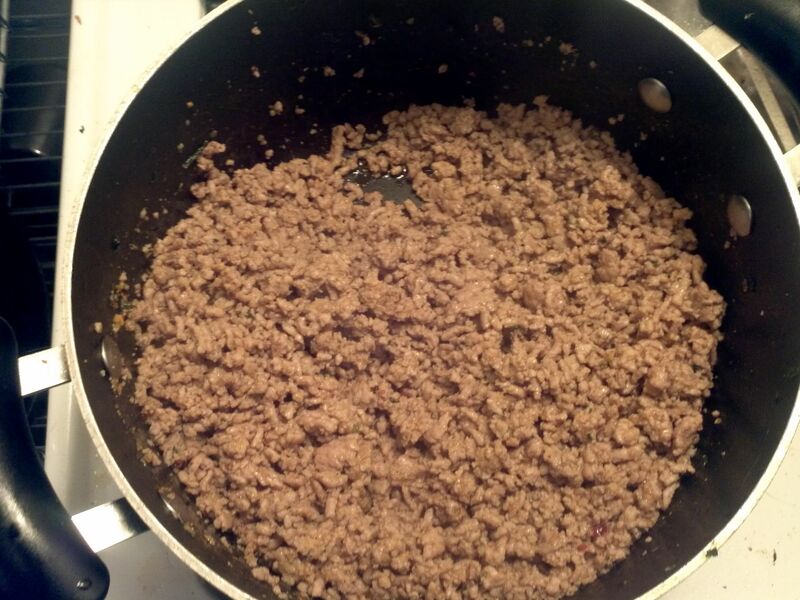 DRAIN the meat then add the taco seasoning. If you don’t have microwave, Defrost the spinach overnight in fridge or place plastic packages in hot water (my frozen spinach came in plastic) – then SQUEEZE out as must moisture as you possibly can. Same for the Tomatoes. Also, let your cream cheese come to room temp before mixing. It helps. We have been looking for good recipes …eating eggs all the time is getting old! lol !!! We’re going to try this. I think the other 5 Non Keto people in the family might even like this one. This might be my favorite low-carb recipe. So simple, so delicious! rotel is just canned diced tomatoes with added onion and mild green chiles. ro-tel is the brand name. LaCostena Homestyle Salsa works very well in place of rotel. 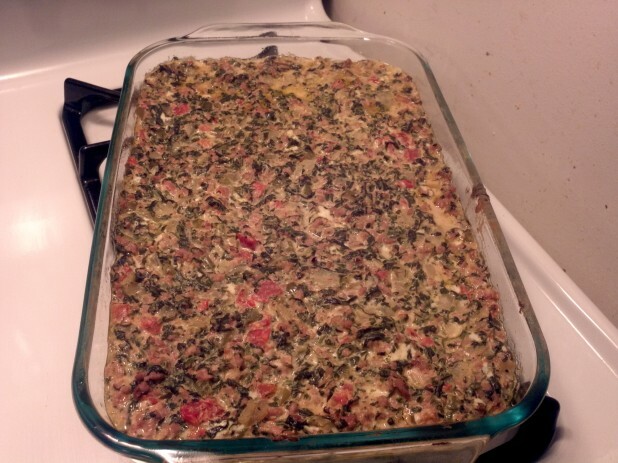 I made this last night– It smells great and tastes even better! Thanks for posting! 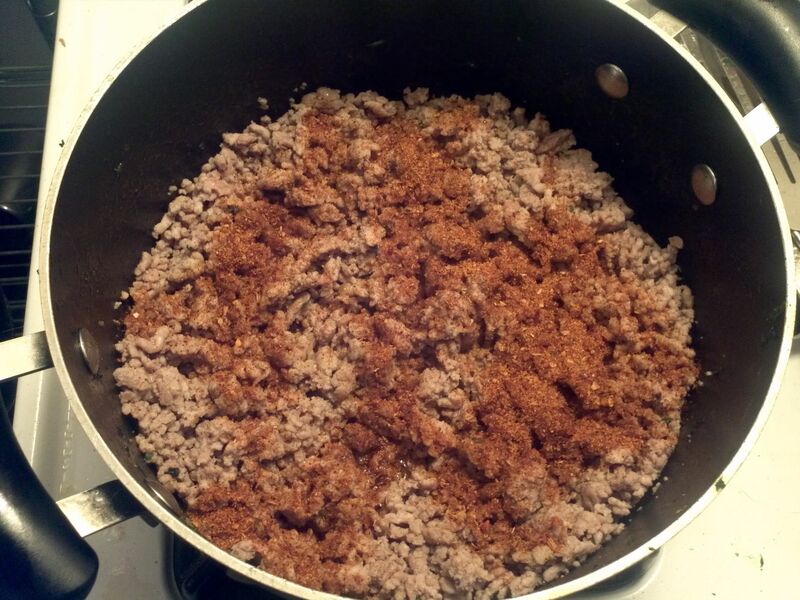 Taco Seasoning:1 tsp Paprika, 1 tsp Ground Cumin, 1 tsp. Chili Powder,1 tsp. Onion Powder, 1/2 tsp. Dried Oregano, 1/2 tsp Cayenne Pepper, 5 cloves Garlic, Salt and Pepper. Can be double or tripled and stored in an airtight container. Enjoy!!! Is it possible that you might look into providing the serving size in grams? It would be so much easier to ensure your pieces are not too big and don’t vary in size. This recipe is a lifesaver! Cooked it today and it is so delicious! Thanks for all your hard work in putting all these fabulous recipes together. Linda’s Low Carb has a great taco seasoning recipe (http://www.genaw.com/lowcarb/seasoning_for_tacos.html). It has become my go-to and I like it a lot better than most of the packaged ones, and my husband and mom love it too. I am wondering, can I use frozen pre-chopped peppers and onions? I avoid chopping onions as much as possible. :’-\ and all that. Yeah you could definitely use prechopped. I would microwave them and drain them so that there isn’t too much water. I just put this in the oven for the first time…..looks amazing! FYI, In Canada, if you can’t get Rotel, you might want to look for Aylmer’s Accents….I think it’s the same sort of thing. 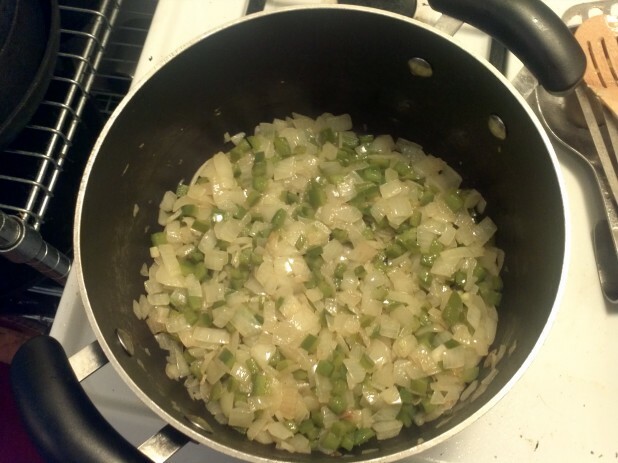 Or you could likely use a low carb salsa….. The Aylmers looks to have done the job for me. I just printed this out to try it. The flavors sound GREAT! But I think I’ll construct it differently. I think it will be more visually inviting if I use browned chops rather than ground meat. 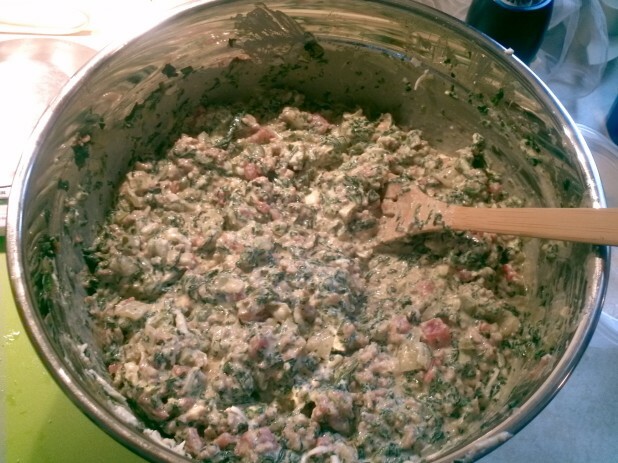 I plan to withhold the grated cheese from the spinach mixture and layer it all on top the spinach mixture. Then lay the seared chops on top of that and bake. From comments made, I think I’ll also add a beaten egg to the spinach mixture to “set it up” so that will cut nicely into squares. Can’t wait to try this! This looks UH-mazing! Going to have to try it real soon now! (Our low-carb taco seasoning is from http://www.genaw.com/lowcarb/lindas_taco_seasoning.html and I like it more than I ever did the McCormick’s). How long can I store this. Is it freezable? I regularly store it in the refrigerator for about 5-6 days. Past that its a little iffy. I haven’t tried freezing it but I don’t see why not! From a Google search I see that Rotel is some sort of can of something like tomatoes and chilis? Is this correct? We don’t have that brand in Calgary where I’m from. Is it in sauce? What is a good substitute without using brands? Yeah its basically a tomato and pepper mix. You could just use diced tomatoes, or some salsa would be a good sub. I meant 2 Lbs. A while ago I thought the packages I bought were 2.5 lbs but it turned out they were $2.5 per lbs so I got confused and wrote 2.5 lbs on the original. I’ll correct the article. Thanks for pointing it out! literally, this is one of the most delicious things i’ve ever eaten. thank you! CMK – I’m cooking all day per your 7 day meal plan, which I appreciate your posting in such detail. I’m a foodie, and a recipe hoarder 🙂 and I would like to suggest that a couple of your recipes need to be tweaked a bit so people don’t make errors. 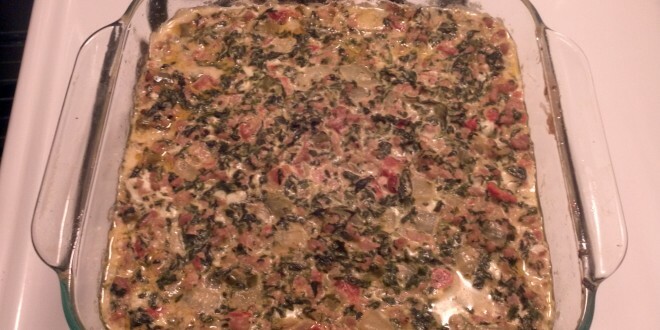 For example, I just finished this Mexican Spinach Casserole, and mine turned out soupy as well. So I return to your webpage, and only after reading every single comment/reply does it become clear that you wanted us to drain the tomatoes. That’s an unusual requirement, and an important one, so it should be noted on the ingredient list and in the recipe instructions. You could save a lot of frustration for your readers. Thanks for listening. Thanks for the heads up! I changed the recipe with your suggestions!! 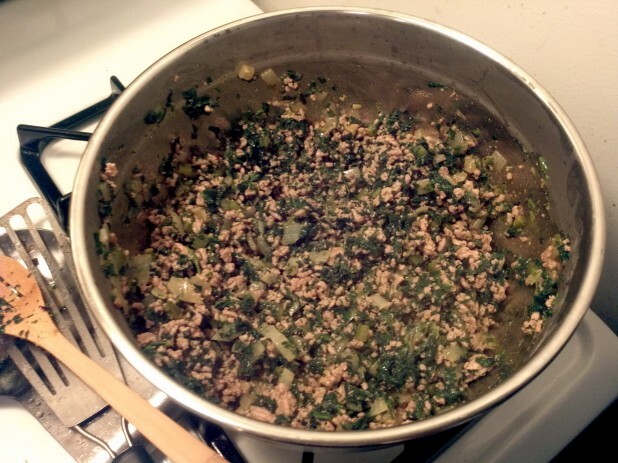 Even though it started out soupy, the recipe is quite good, and my husband raved about it. Just wanted you to know! Oh, and we’ve had great success using your recipes for the last week or so … he’s down 4 lbs. and I’m down 8 lbs. We are combining your meal plan with a 16/8 Intermittent Fasting schedule, and we’re pretty happy with the results. I modified this a little bit and it turned out fantastic. Instead of using 16oz of cream cheese I used 12. Instead of Mozzarella I used cheddar cheese, and rather than mixing in the diced tomatoes (Rotel) I put them on top and topped with 1 cup of cheddar. I also sautéed the spinach, peppers and onions in 2TBSP of butter until they were no longer producing any water. I also substituted 1/2 cup red pepper and 1/2 cup yellow pepper diced for the green pepper. Also 350 for 45 minutes. You should really stress draining every single bit of excess water. In hindsight it was my fault for not completely draining everything. Yet it wasn’t stressed enough that if ANY excess moisture was there it would be soupy, would’ve been nice to know. Anyways, thank you for your work with all the recipes, it is greatly appreciated within the community. Not here to criticize, simply stressing that this should really be noted much more openly. Thank you for these recipes, I am so looking forward to breakfast, today. I was wondering, if all I had was low-fat sour cream, should I increase the cook time? It helps if you put the mozzarella cheese in the freezer for 15 -30 min, depending on the size of the block, before you shred it using your food processor. In the pictures it looks like you’re using one box of cream cheese, but in the ingredient list it specifies a quantity equal to two of the “bricks” of cream cheese. Which is correct? 16 Oz is the correct amount. I get my cream cheese from BJ’s and it comes in a 2 pack where each container is 16 Oz. So the block you’re seeing is from a 16 Oz. plastic container of cream cheese. Yeah, sometimes I feel like I run an industrial kitchen these days 🙂 I’ve upgraded all my bowls to the huge 7.5 qt ones and my 15-inch skillet almost never goes cold on a Sunday 🙂 I feel like it makes it much easier though if you’ve got the right stuff, I now have almost two of everything so I can cook breakfast and lunch in parallel. Crap! I accidently used 16 oz of sourcream instead of 10TBSP (was looking at the cream cheese line) still tastes great… but I just have to tweak my MFP totals! I started Keto last week and made this last night and it’s delicious! I’ll admit looking at it going in the oven I wasn’t particularly enthusiastic, but when it came out all cooked and smelling delicious I was sold. Thanks for these great recipes. They’re very “kitchen newbie” friendly. I made this yesterday for the first time and let me just start by saying it’s absolutely delicious. But then of course it’s going to be delicious – It’s seasoned meat and a ton of cheese and cream and veggies. My main problem is that it isn’t so much of a casserole as it is a thick soup. Which is totally fine. It’s got the right macros, reasonably easy to make in large quantities, and tastes great. But I wonder next time if I might try throwing in a couple eggs to see if I can give it more of a casserole consistency. Has anyone tried this? So, this is my new favorite recipe! It’s easy, and delicious and I love it! I’ve found that i’m too lazy to ensure everything is completely drained, so out of the oven, it was very soupy, but once stuck in the fridge overnight and taken out for lunch the next day, it was nice and firm and easily cut. I recommend letting it chill overnight once out of the oven. It was perfect that way. Thank you for this delicious recipe! I am trying out the Keto diet and really want to find some recipes that I enjoy so that I’ll be more likely to stick to the diet. This recipe is so rich and satisfying, it’s like comfort food without the carbs!! Awesome recipe, thanks so much! I started the Rotel tomatoes draining first, and then pushed on them a bit in the strainer to get every last bit of extra liquid out. It turned out wonderfully, and was a hit with all my kids (the 16 yr old took one bite and said ‘definitely make this again!’). I love that there are plenty of leftovers for lunches…this recipe’s definitely a keeper. I made this today in a crockpot, because I was too lazy to cook everything separately. I’m sure it made the fat content higher from the pork, but it’s so delicious. And I like the that my onions and peppers retained their crunch, from still being somewhat raw. Just a different way to make this dish, depending on your preferences. Use a thermometer to make sure the meat cooks, I set it on high for 3 hours and it did the trick. Thanks for this recipe! I make this with Jimmy Dean Chorizo sausage and Jack Cheese, leaving out the taco seasoning. It’s amazing! Homemade taco seasoning. For 2 lbs meat. 3 tablespoons organic crushed garlic in oil or3 cloves garlic chopped, 1/4 cup paprika or more for that taco color, 1 tablespoon cumin powder, 1 tablespoon black pepper, 1 tablespoon onion powder or flake. Use your favorite hot sauce to add heat but check labels for sugar or add 2tablespoons red pepper. I always like to add a good dash of green habanero sauce but that is a personal choice. For quick salsa, chopped onions, garlic, salt heated with a can of chopped tomatoes and green chilis works. Late to this recipe but I just wanted to say that I am obsessed with it. I made it yesterday for this week and it’s soooooo delicious. I was concerned about the portions looking too small but it’s incredibly filling, and I put it on a little bit of cauliflower for my meals. I also kind of want to modify it to make it a keto-friendly dip for parties! Maybe I’ll keep the same portions of sour cream, cheese, and cream cheese and reduce the amount of pork. Anyway, thanks for the recipe. I love it! I’m getting back on the wagon. Your recipes are helping me get stuff in the fridge for those days I just don’t feel like fixing anything. Fixing one giant meal a day…eating a serving or two and freezing the rest! This is quite tasty; however, I think it would make a great mexican dip. Now to find a chip substitute (I can’t eat pork rinds, or I’d be all over that! )….